It's time for the EU to deal with the fallout of the Paradise Papers - and take on the tax havens in its own back yard. The tax revenues of nation states are being eroded by organised tax avoidance and with it our hard-won social rights – with the Paradise and Panama Papers providing a glimpse of the strategies used by corporations and wealthy elites to route transactions through tax havens and dodge taxes. So far, there has been plenty of tough talk in the aftermath – but no action. 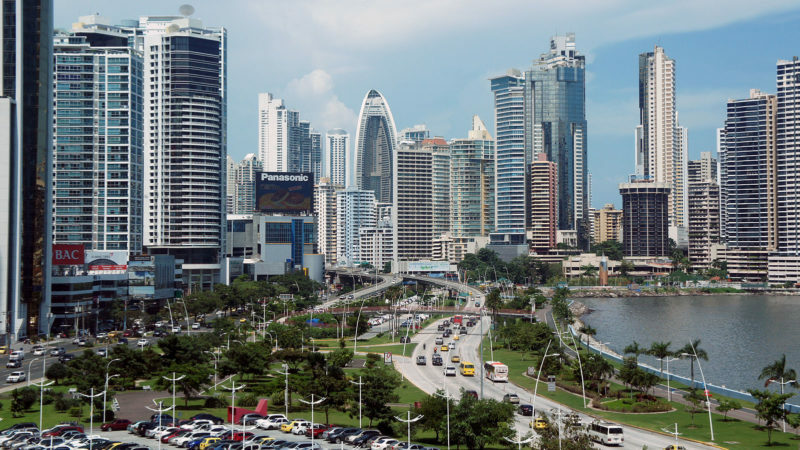 And a decision next week will show the EU is busy shielding tax havens like Panama (pictured) from its sights. There’s no shortage of ideas for solving the tax haven problem. Sensible governments could encourage tax havens to introduce meaningful reforms also wean them off their trade. They could be offered grants to develop alternative economies. And then there are tougher options: trade sanctions, curbing capital flows, cutting them off from the financial/banking system, and declaring transactions crafted there to be null and void. But ‘soft power’ has not persuaded tax havens to modify their secrecy. Much of the ‘hot’ tax-haven money also flows into the western world and lubricates its finance industry. This in itself has created bubbles in markets (from securities to property, arts and antiques) and further detaches the finance industry from the real economy, and pose dangers to economic stability. A key step to taking any action is to develop a blacklist of uncooperative jurisdictions and put them on notice. Hopes soared when in December 2017 the European Union issued a blacklist of seventeen non-cooperative jurisdictions for tax purposes and held out the possibilities of tougher action and even sanctions against them. The seventeen jurisdictions were American Samoa, Bahrain, Barbados, Grenada, Guam, South Korea, Macau, the Marshall Islands, Mongolia, Namibia, Palau, Panama, St Lucia, Samoa, Trinidad & Tobago, Tunisia and the UAE. Most notably, the blacklist it did not include any western tax havens (e.g. Delaware, Nevada, New Jersey). It did not include any EU member states or tax havens sponsored by them – UK Crown Dependencies or Overseas Territories, were excluded from the list. And places like Ireland, Luxembourg and the Netherlands have been admonished by the EU Commission for using tax policies to provide illegal state-aid, and undermining the tax base of other countries, but were excluded from the EU list. In respect of the special tax concessions given by Ireland to Apple, the EU Commission noted that: “This selective tax treatment of Apple in Ireland is illegal under EU state aid rules.” It ordered the country to recover the unpaid taxes in Ireland from Apple for the years 2003 to 2014 of up to €13 billion, plus interest. And the Luxleaks show that the Luxembourg government approved tax avoidance schemes designed to enable corporations and wealthy elites to dodge taxes. The country has also been admonished for misusing its tax system to provide illegal state-aid. The Commission also found in 2015 that Luxembourg gave selective tax advantages, i.e. not available to other companies, to Fiat and reduced the companies tax liabilities. Similarly, in 2008, the Netherlands gave selective tax advantages to Starbucks to enable the company to shift profits via royalty payments, and also purchase coffee beans from its Swiss affiliate at inflated prices. In October 2015, the European Commission ordered the Luxembourg and the Netherland governments to collect €20 – €30 million of back taxes from each of the companies. But what further preventative measures were taken? Of course, there was no sign of these countries on the EU’s blacklist. By this January, under pressure from other countries, the EU had rowed back on its list of uncooperative jurisdictions and eight jurisdictions were removed from the blacklist. These were Barbados, Grenada, South Korea, Macau, Mongolia, Panama, Tunisia, and the United Arab Emirates. Next week, the EU is expected to remove Bahrain, the Marshall Islands and Saint Lucia from its list of uncooperative tax havens – leaving only politically weaker nations on the list. These are American Samoa, Guam, Namibia, Palau, Samoa and Trinidad and Tobago. It is hard to recall a major expose of the role played by these places in global tax avoidance, money laundering and illicit flight of capital. Even if there was serious evidence of tax haven policies there, the resulting proceeds would be have to be routed through the western banking and financial system – through transactions designed by accountants, lawyers and financial experts located in developed economies, the very countries that are off the EU blacklist. The EU’s claims of proving leadership on combating international tax avoidance are in tatters. So the public must now ramp up the pressure on politicians. The alternative? Higher taxes for a crumbling social infrastructure – or the loss of hard-win social rights altogether.